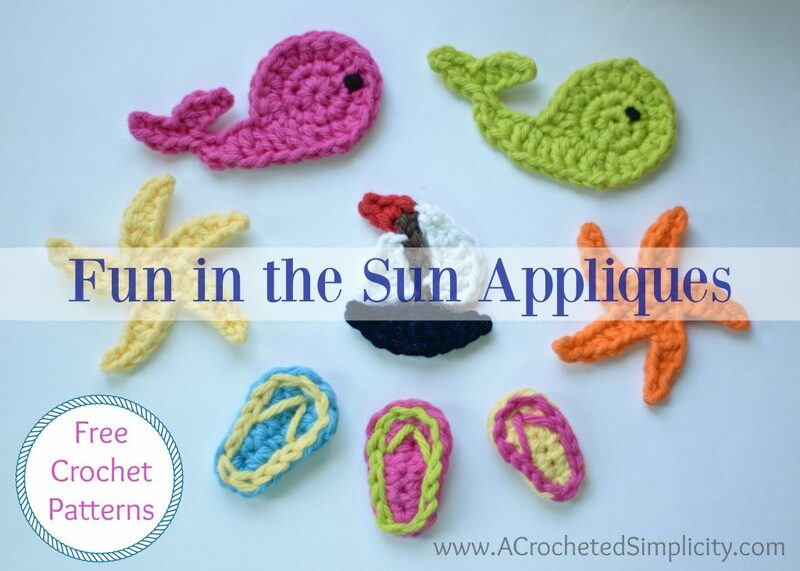 Crocheted sunhats made with cotton yarns are great for kids! Even though parents love them, how do we get our kids to be just as enthusiastic about wearing them? The answer is simple! We add fun crochet appliques to make the hat kid approved. 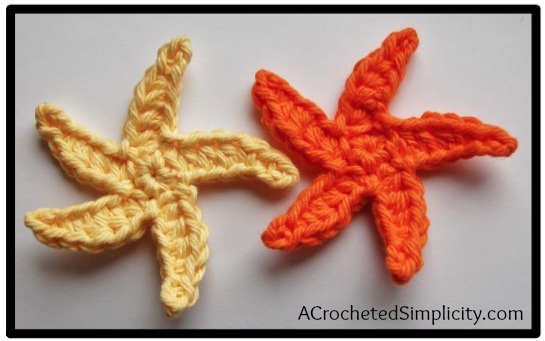 Below you’ll find free crochet patterns and complete photo tutorials for a starfish, flip flops (in 3 different sizes), a whale, and a sailboat! Rnd 2: [ Ch 7, sl st in 3rd ch from hook, sc in next ch, hdc in next 3 chs, sl st in next sc from Rnd 1 ] rep from [ to ] around. 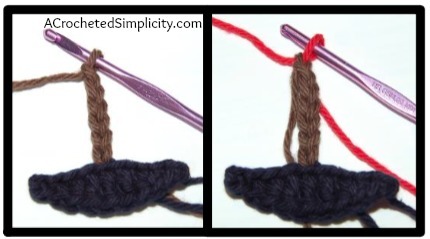 Fasten off on last sl st. Leave a tail of yarn to use to sew the applique onto your hat. Rnd 2: No Beginning Chain, sl st around the post of each st around. ***See Photos Above & Below*** Join on last sl st of the round. 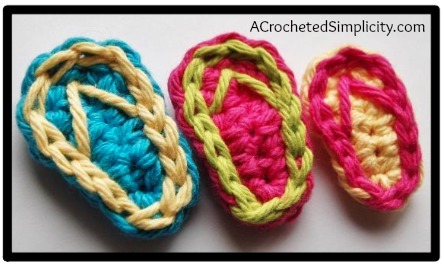 Finishing: Add thongs by using yarn and a yarn needle, as shown in the photos below. 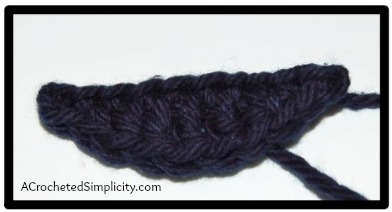 Fasten Off on last sl st. Leave a tail of yarn to use to sew the applique onto your hat. Rnd 4: Continuing on from Rnd 3, Ch 10, sl st in 2nd ch from hook, hdc in next 2 chs, sl st in next ch, ch 4, sl st in 2nd ch from hook, hdc in next 2 chs, sl st in same ch as previous sl st, sl st in next ch (working back down the tail), 2 sc in next ch, hdc in next ch, dc in next 3 chs, dc in side of hdc, dc in same st as same hdc, dc in next sc. ***See Photos Above & Below ***Join w/ a sl st to the 1st hdc of rnd 3. Fasten Off. 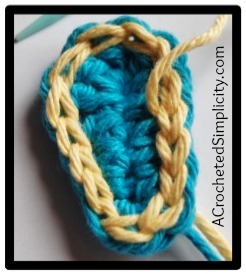 Leave a tail of yarn to use to sew the applique onto your hat. See finishing instructions below to add an eye. Step 1: (Navy) Ch 10, sl st in 2nd ch from hook, sc in next ch, hdc in next ch, dc in next 3 chs, hdc in next ch, sc in next ch, sl st in last ch. Fasten Off. 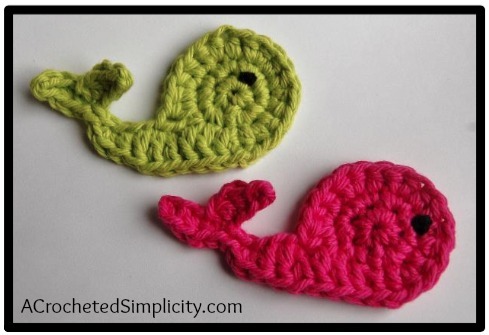 Leave tail to sew onto your hat. 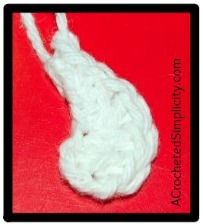 Step 3: Left Sail (white) Ch 5, sl st in 2nd ch from hook, hdc in next ch, dc in last 2 chs. Fasten Off. 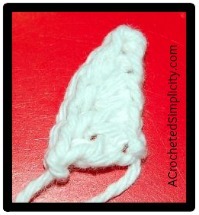 Leave tail of yarn to attach to boat. 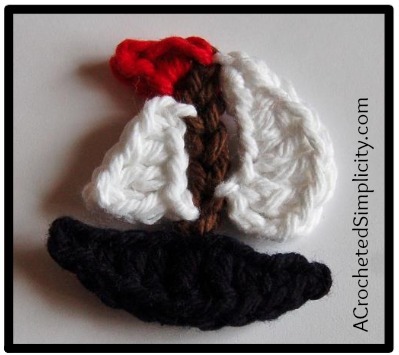 Step 4: Right Sail (white) Ch 8, dc in 4th ch from hook, 2 dc in next ch, hdc in next ch, sc in next ch, sl st in last ch. 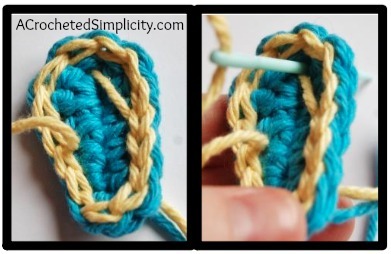 Attach Sails: Using the yarn tails and a yarn needle, attach the sails to the boat as shown in the photos below.